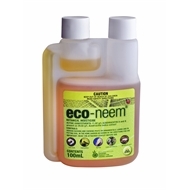 Eco-Neem is a registered organic insecticide for the control of chewing and sucking insects including caterpillars, curl grubs, grasshoppers, mealybugs, lawn armyworm, aphids, mites, citrus leafminer, fungus gnats and whitefly. 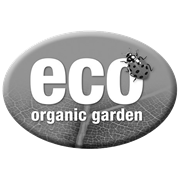 It suppresses appetite so insects stop feeding and starve to death. 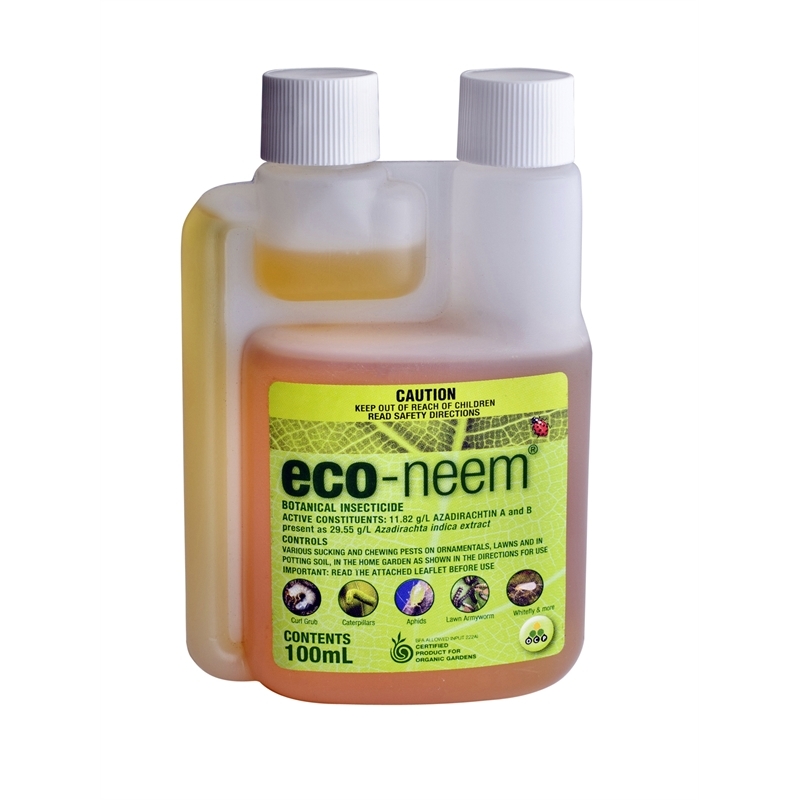 Eco-neem also causes distorted pest growth increasing mortality and making them more susceptible to predator attack.